NovaMind is a free Windows 8 Thoughts Organizing App which will actually help you give your thoughts a visual perception. Its like brain mapping, where you can connect your thoughts with others to sync them in a proper ad hoc manner so that you can implement it in a better way. 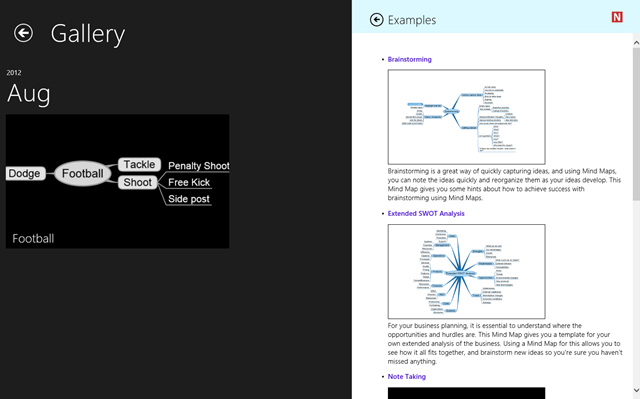 If you are a planned person and you put a real thoughts in your work, you will find this Windows 8 app really helpful. As in some cases, we can’t find any connections between our thoughts but this smart app for Windows 8 will let you to connect all your thoughts. This Windows 8 thoughts organizing app consists of 2 different themes, the dark one and the classic one. It is just to give a little edge to your designed thoughts. You can begin your job with the bubble like structure where you can simply enter the topic with the help of ‘Enter Text’ button. Further, you can add Child Node to your Parent node and you can add it multiple times. You can simply drag the node to create child node or you can add it from the toolbar. Later, you can add some other sub child nodes by the same procedure, as you can see in the above figure. You can also check your gallery which contains your work and can sort them as you want. You can also seek for some examples if you want to. you can also remove your work if you don’t need them anymore. Similarly, you can also remove the nodes from your file. 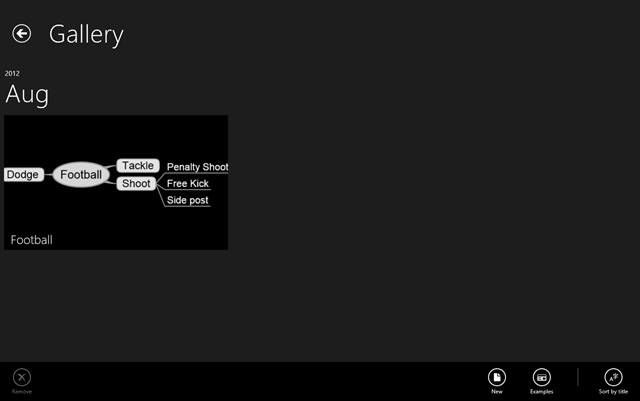 So, this is quite a simple kind of Windows 8 app you can use to organize your thoughts. Go ahead and download NovaMind Windows 8 thoughts organizing app available under the ‘Productivity’ category of Windows 8 store. This is the example screen you can look to check how can you organize you thought patterns in a proper and ad hoc manner. So, you can check these examples for reference. 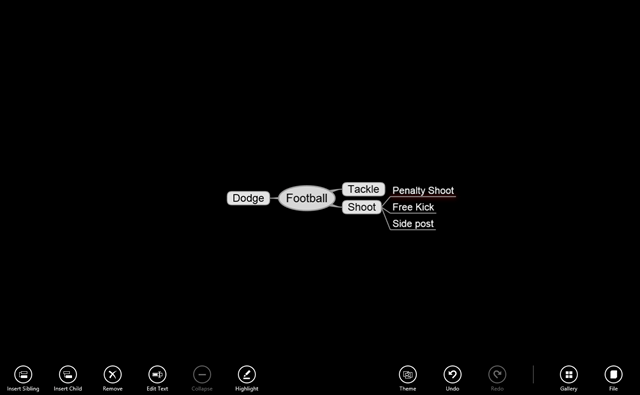 So, download this Windows 8 App on your desktop for brainstorming.